You guys!! It’s Spring! It actually feels like Spring! I walked outside with NO JACKET ON today. Finally! This is very exciting stuff. We survived our first real Winter. I didn’t ever think it was possible. If I’m being honest, it wasn’t as bad as I was expecting! I think we lucked out with a relatively mild Winter for our first year in Pittsburgh. 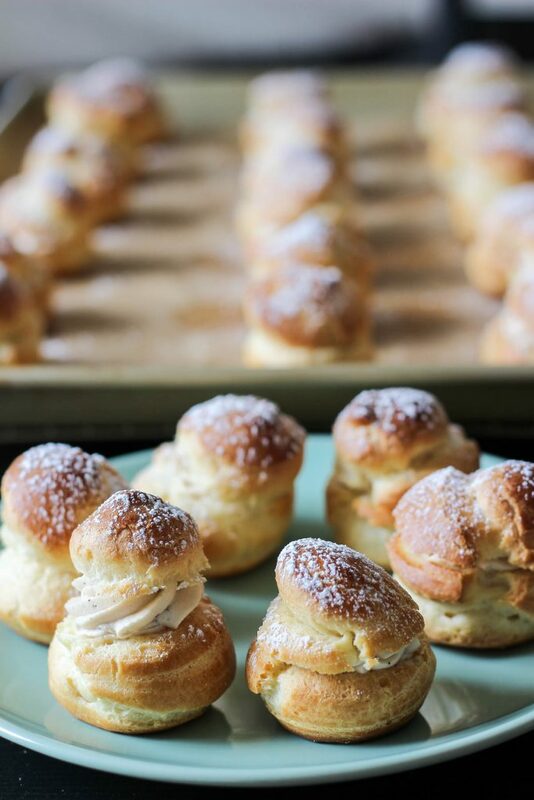 So these cream puffs!! They are absolute heaven. Earl Grey is one of my favorite flavors for desserts. And it goes so well with lemon! 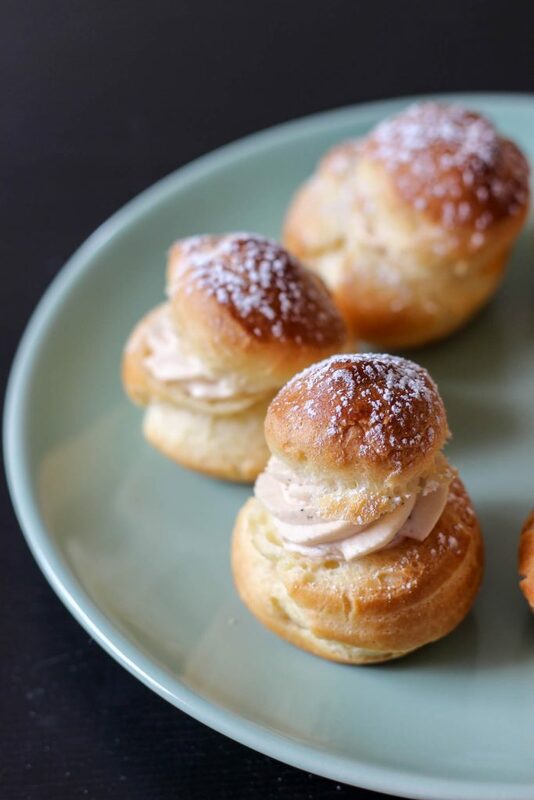 Pate choux is one of those illusive pastries that seems really difficult and fancy…but it’s actually easier than you think!! After you’ve done it properly once, you get the feel for it. 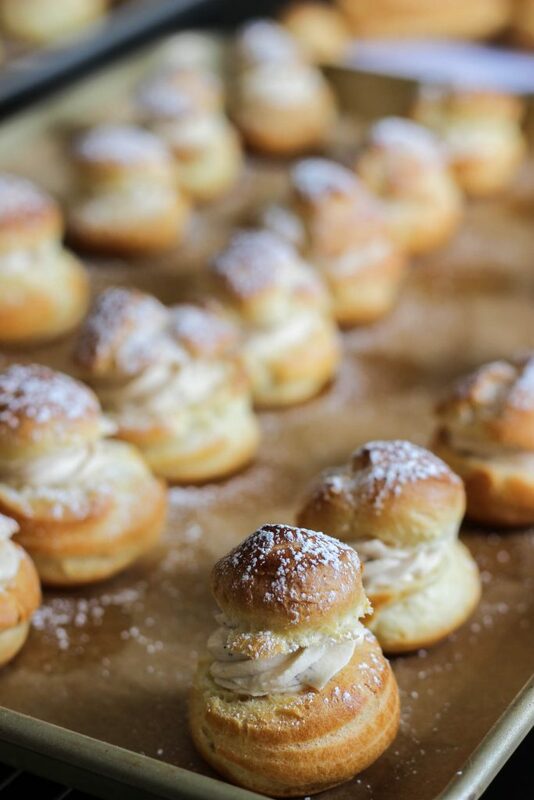 Cream puffs filled with Meyer lemon curd and Earl Grey whipped cream. Perfect for tea time! 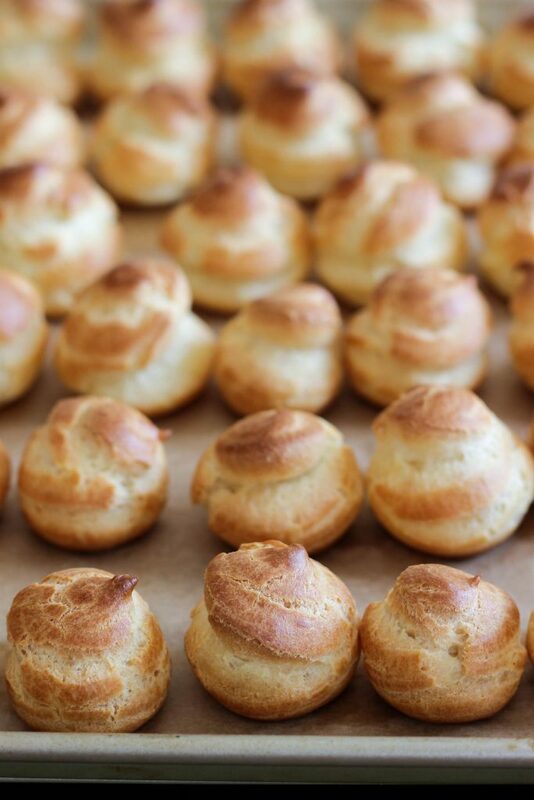 Cream puffs: Preheat the oven to 425 degrees and line two baking sheets with parchment. Combine the water, butter and salt in a medium saucepan and bring to a boil. Add the flour and stir together with a wooden spoon until smooth. Cook over medium heat, stirring vigorously for about a minute. Transfer to your stand mixer and allow to cool for a few minutes. Add the eggs one at a time, beating thoroughly in between each addition. Depending on the size of your eggs, you might need more or less. The batter should create a "V" shaped drip off the edge of a spatula or spoon. 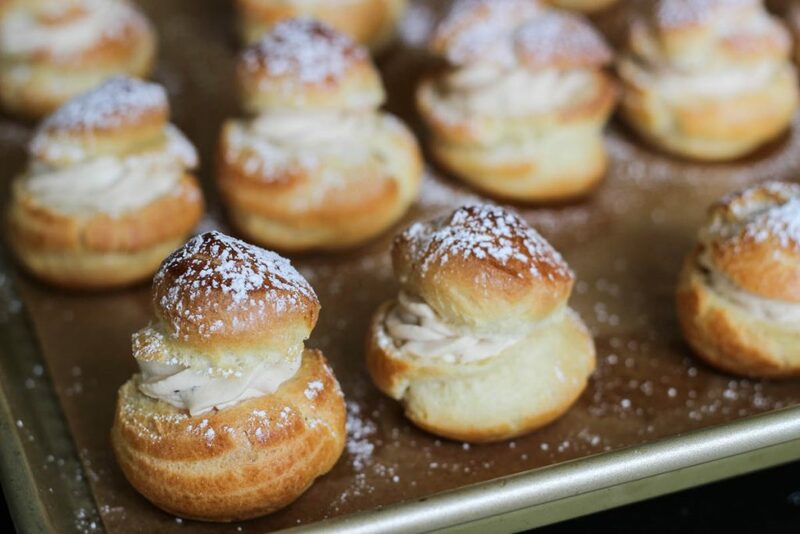 Transfer to a piping bag and pipe into 2 inch mounds (leave at least an inch between each). Bake at 425 for 15 minutes, lower the oven to 350 and continue to bake for 15-20 minutes. Allow to cool before slicing the tops off to fill them. Lemon Curd: Whisk together egg and sugar in a small saucepan. Cook over medium heat until the sugar dissolves (stirring constantly with a heat proof spatula so it doesn’t curdle). Add the lemon juice and butter, and cook on medium stirring constantly until it has thickened (about 3 minutes). Run through a mesh strainer, then cover with a layer of plastic wrap to prevent a skin from forming. Transfer to a piping bag. 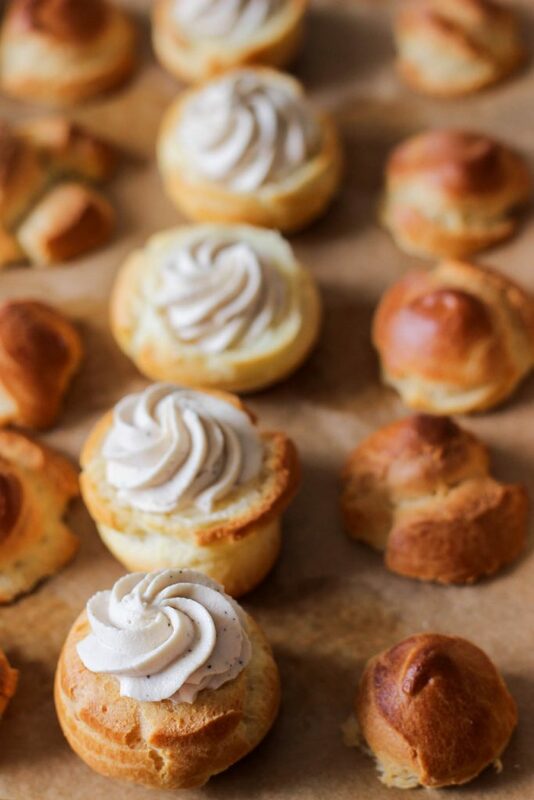 Whipped Cream: In a small saucepan, bring 1/4 cup of the cream to a simmer. Add the tea bags, cover and allow to steep for 20 minutes. Ring out the tea bags and chill the cream until ready to assemble. 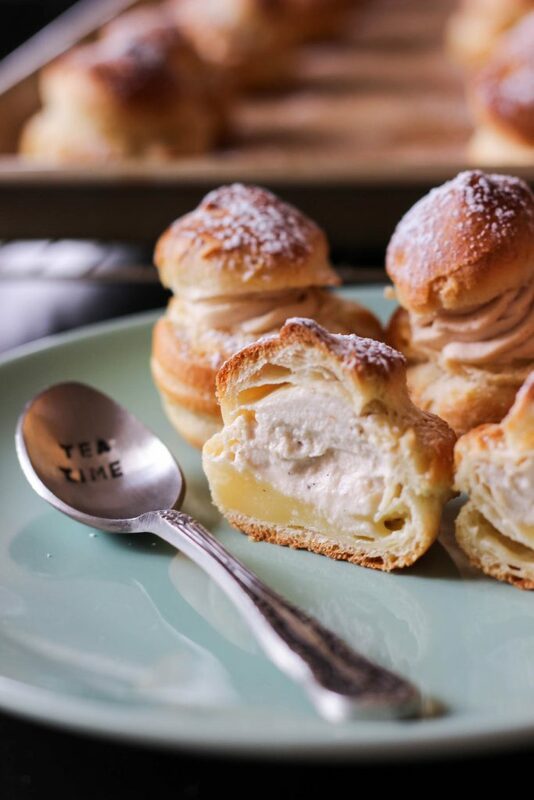 Combine the tea infused cream with the remaining cream, sugar and vanilla in the bowl of your stand mixer. Whisk to medium peaks. Transfer to a piping bag fitted with a star tip. 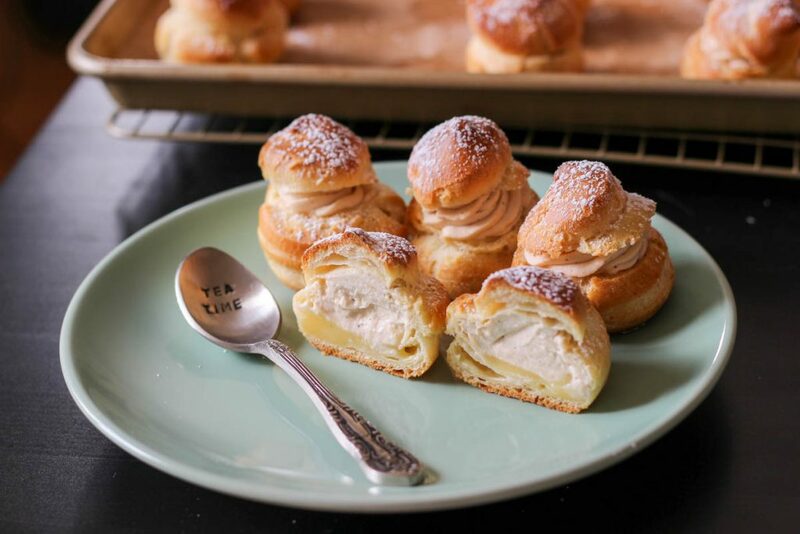 Assembly: Pipe a good dollop of lemon curd in the bottom of your puffs, and then top with a swirl of the Earl Grey cream. Put the tops on and then dust with powdered sugar. Store in the fridge and serve cold. 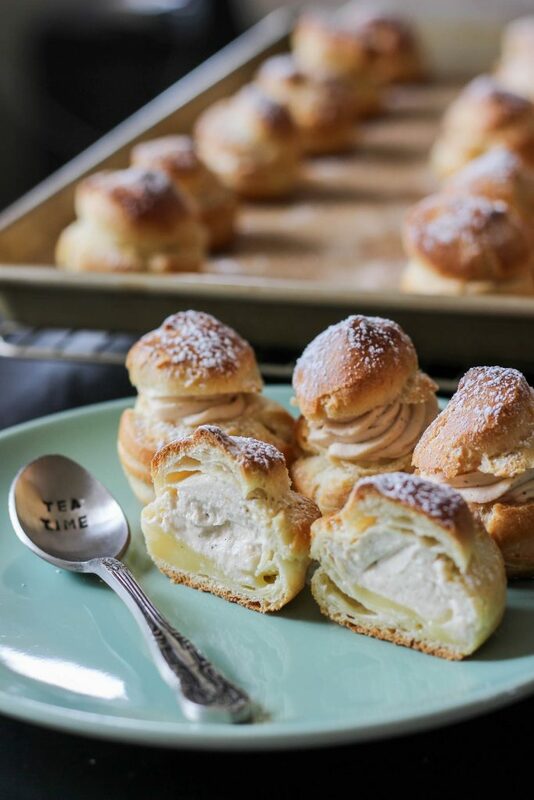 You can make the cream puffs ahead of time! 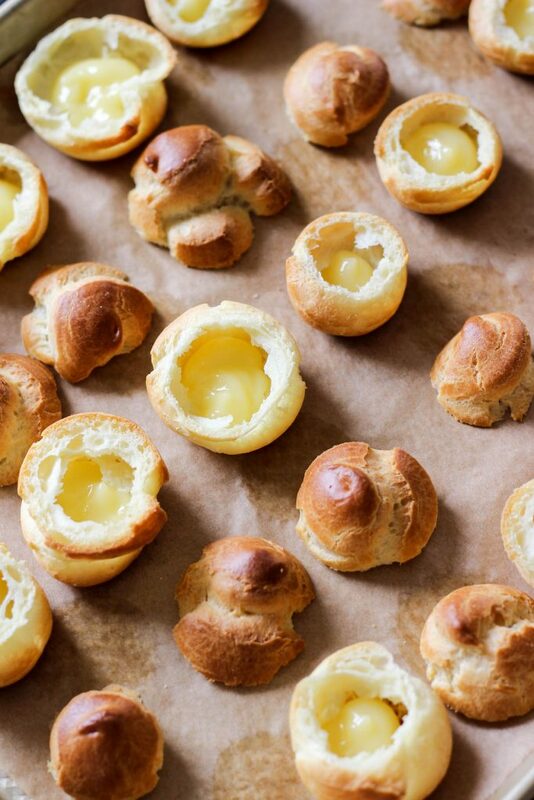 Just cool them after they're baked, and then freeze them until you want to use them. Refresh them in a 350 degree oven for 10 minutes before slicing and filling. 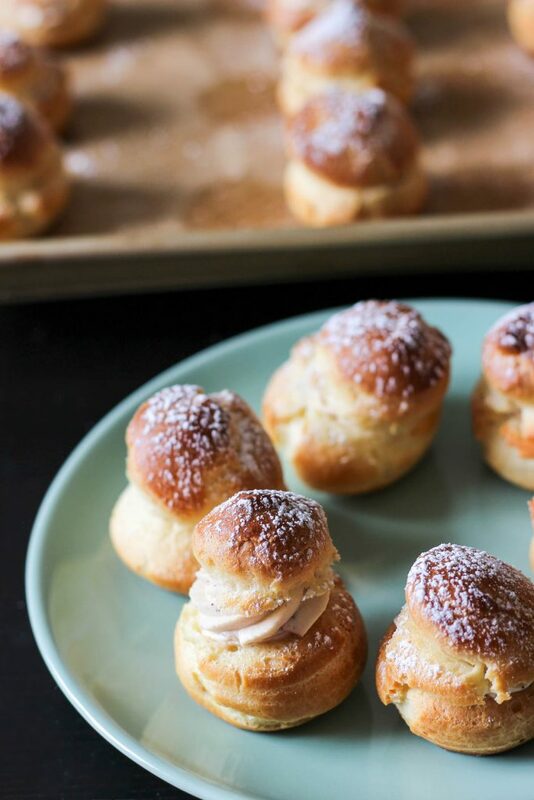 These babes are so perfect for a tea party! 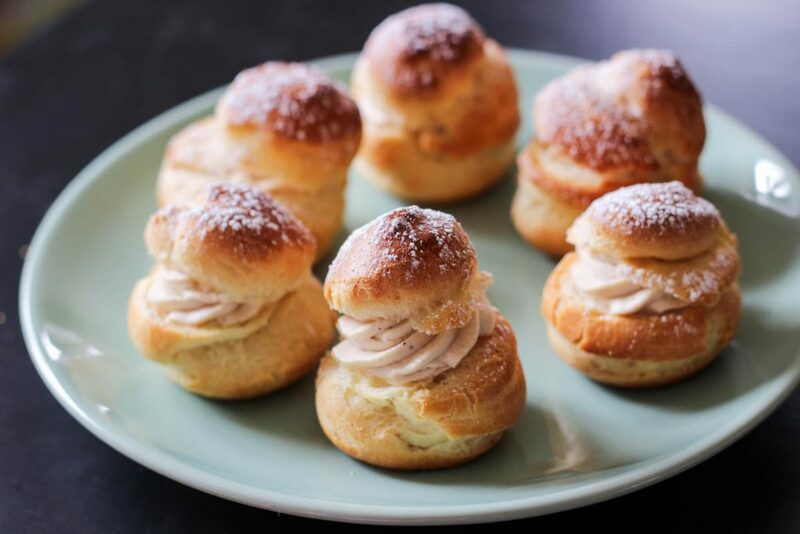 They’re also great if you want to impress some guests with a fancy looking dessert. Yay for Spring and pretty little treats.